I finished "Deep Sea Dance" for baby John. 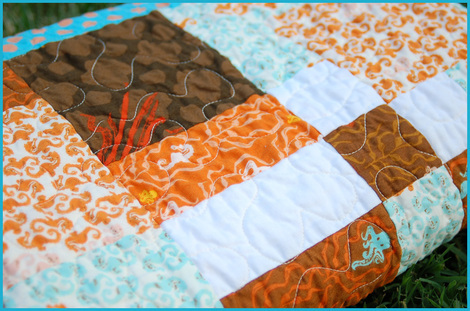 My roommate from Colgate had her third baby recently and I had to make a quilt for him! I also got some new tags with my starfish logo on them. I'm strangely excited about this! As for my new knit... it's kind of an odd thing. It was a special request and I thought it would be fun to have a little giveaway. 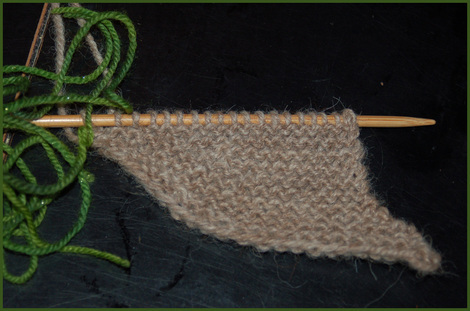 I'll post a picture of the start of it and if anyone knows what it is, take a guess and I'll send a little knitting-related present to the first correct answer. I guess there could be a way to cheat at this if you do some cyber-snooping but let's trust everyone will play fair! If no one guesses correctly (or no one guesses at all!) I'll post another progress picture until someone gets it! The first thing I thought when I saw the picture was YODA, but I don't know...could it be? 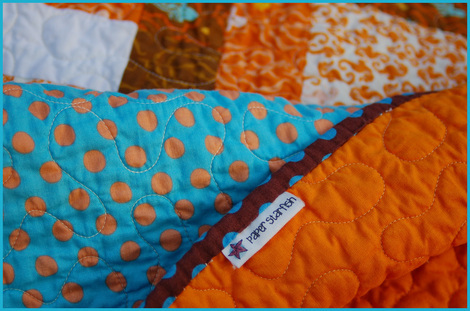 Your quilt is amazing! I love the fabrics. 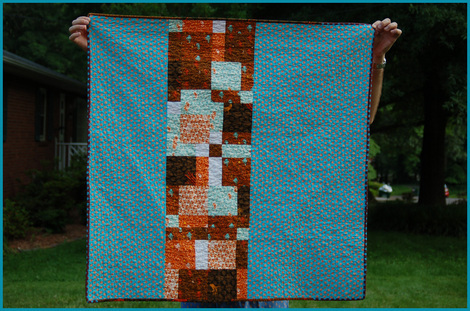 Oh my, what a beautiful little quilt - I love those colors! This page contains a single entry from the blog posted on May 24, 2011 12:04 PM. The previous post in this blog was Finally Finished! . The next post in this blog is Last Day of the Mystery.